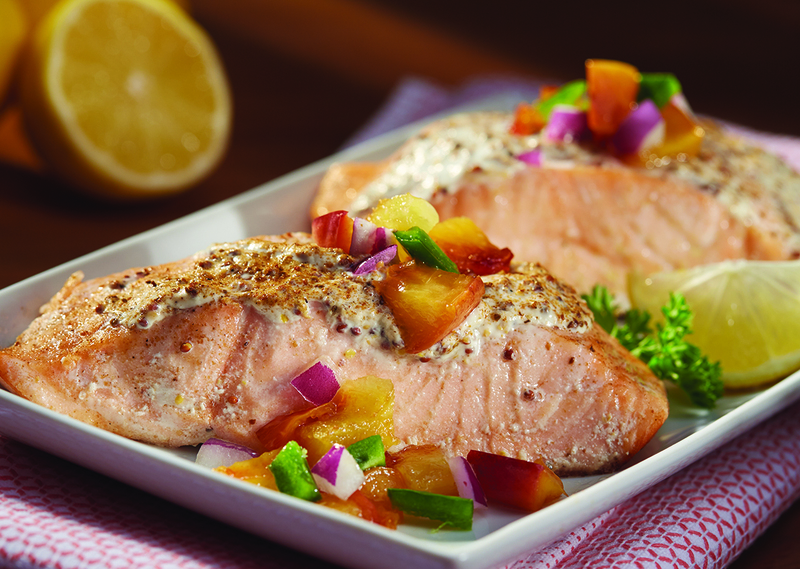 Try this tangy and savory salmon filet for any meal coming up! Pat salmon filets dry with paper towel. Mix sour cream, mustard and lemon juice in small bowl. Spread mixture evenly over each salmon filet. Sprinkle with Old Bay seasoning. Place salmon, skin side down, directly on surface of roaster.